Dublin (AFP) - Irish lawmakers urged their government Wednesday to recognise Palestine as a state in a symbolic motion that sailed through parliament unopposed. 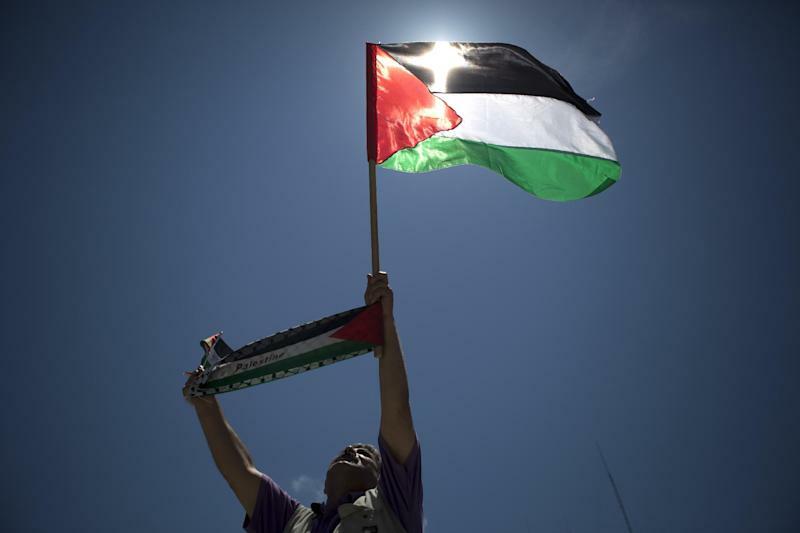 Ireland's parliament is the fourth European assembly to call for the recognition of Palestinian statehood since October. Lawmakers in France, Britain and Spain also endorsed similar motions, reflecting growing frustration with the deadlocked Middle East peace process. Sweden has gone even further, officially recognising Palestine as a state in a move that prompted Israel to recall its ambassador. The non-binding motion agreed by lawmakers in Dublin called on the government to "officially recognise the State of Palestine, on the basis of the 1967 borders with East Jerusalem as the capital, as established in UN resolutions". This would be "a further positive contribution to securing a negotiated two-state solution to the Israeli-Palestinian conflict", it added. The government is not bound to follow the motion but Minister for Foreign Affairs Charlie Flanagan said Ireland supported early recognition of a Palestinian state "in principle." "We have always supported a viable two-state solution and will continue to support that in any manner and by any means," Flanagan told parliament. European politicians have become more active in pushing for a sovereign Palestinian state since the collapse of US-sponsored peace talks between Israel and the Palestinian Authority in April, and ensuing conflict in Gaza, where more than 2,000 Palestinians and dozens of Israelis were killed this summer. "It's been suggested that recognition now might help jump-start a stalemate process. This was the judgement made by Sweden and indeed it is the spirit of this evening's motion," Flanagan said. Despite being proposed by the opposition Sinn Fein party, the motion had cross-party support, dispensing the need for a vote. 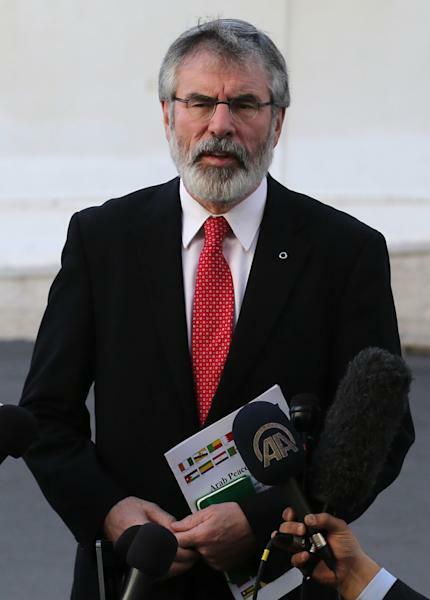 Sinn Fein leader Gerry Adams, who was refused entry to Gaza by Israel during a visit to the region last week, said the motion was about inspiring hope. "We must stand with the Palestinian and Israeli citizens who want peace – who are taking risks for peace. The passing of this motion is an important contribution to this," Adams said. The motion also called on the Irish government to do everything it could internationally to secure "an inclusive and viable peace process". The chairperson of the Irish Palestine Solidarity Campaign, Martin O'Quigley, welcomed the move. "It's very important, but just as important is for the Irish government to make Israel accountable for what has happened and what is happening in Palestine," he told AFP. The Israeli embassy in Dublin said however the motion was premature. "A vote in favour of this motion, therefore, is a vote for Ireland, a neutral country, to intervene in a foreign conflict in favour of one national movement at the expense of another," the Embassy said in a statement. "That is not how peace is brought about."